The BakFlip G2 requires no drilling. It easily clamps on with a 9/16 wrench. The BakFlip G2 has integrated D-rings, which allow you to drive with the tonneau cover in incremental positions. 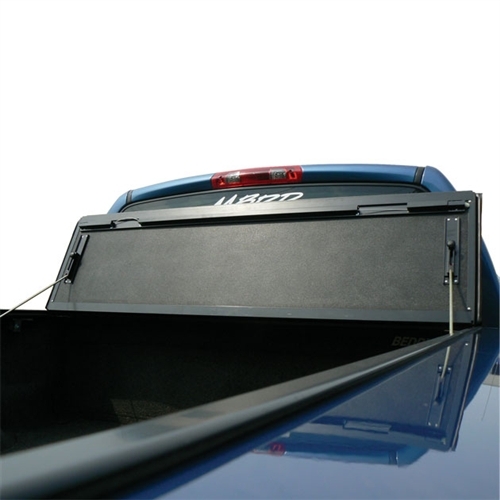 All G2 latches are concealed under the tonneau cover. Just lock your tailgate for ultimate security. The BakFlip G2 locks in the full open position. It protects your cab from impact and allows you to drive with the cover open at freeway speeds. The aluminum panel construction of the BakFlip G2 is the same as the substructure of the BakBox toolbox. The two products are a perfect seamless match. The directions aren't 100% clear. I found the "required spacers" taped inside the tonneau cover. I expected them to be with the other hardware. 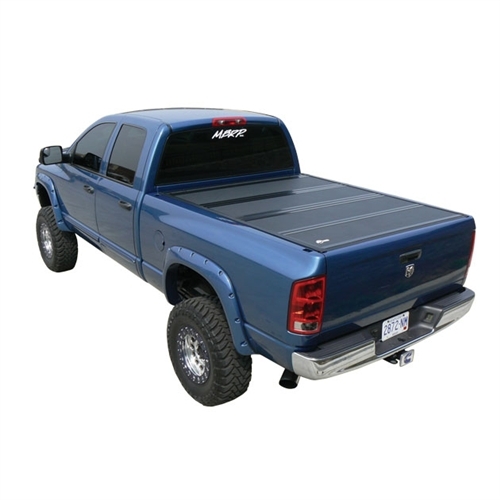 It has a gasket/seal that goes against the cab if you don't have a bedliner. However you won't see that instruction until the tonneau cover is installed and you're tighting up the bolts to hold it into place. Hopefully after my trip I'll be able to come back and update my review. I'm also not sure how the drain tubes will work since I have a bed rug.